We turned south at the Iguazu Falls for a drive that will take us the full length of Argentina, we hope. Iguazu Falls is at the northern tip of the Misiones province, a thin spit of Argentine land separating Paraguay from Uruguay and defined by the Rios Uruguay and Paraná. 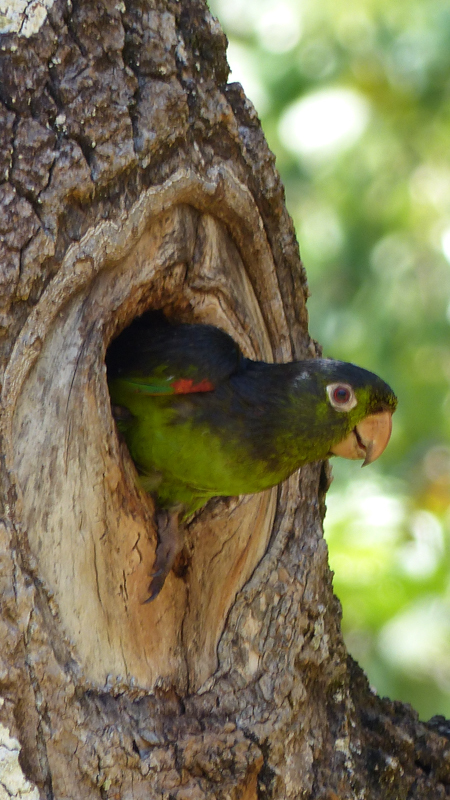 While preparing for the trip, and since arriving in South America, we’ve had a number of questions about our van: why did we ship a vehicle for our trip out from the UK rather than get one out here; why a van; what have we done to prepare it for the trip etc.? 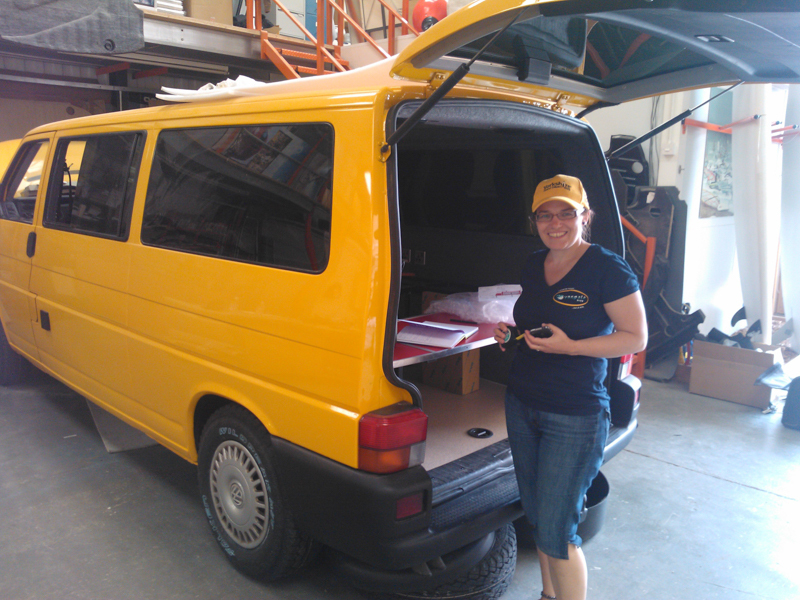 So this post is a description of how we sourced and prepared the Yellow Van and the subsequent one is about fitting it out ready. By June 2014, we had a vehicle that met our specs and was ready to convert into a simple camper van to be our home for the trip. Given that we were planning to be away for so long, we wanted something that had the potential to feel like a home, as well as be practical for long term living. 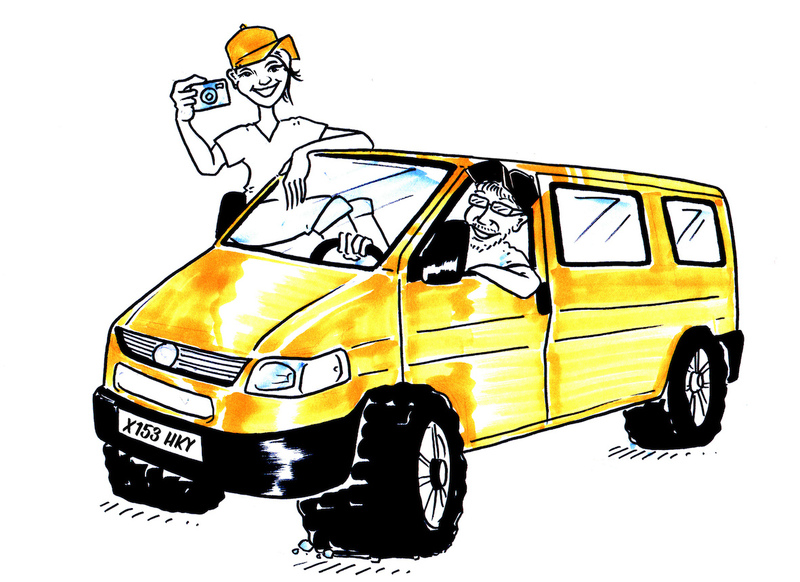 We are Bruce & Rebecca and The Yellow Van. We had been married for 15 years, living ordinary professional couple lives, but, for the last 10 of which, we had cultivated a dream (frequently feeding it with good bottles of wine) to take time out for an epic road-trip. 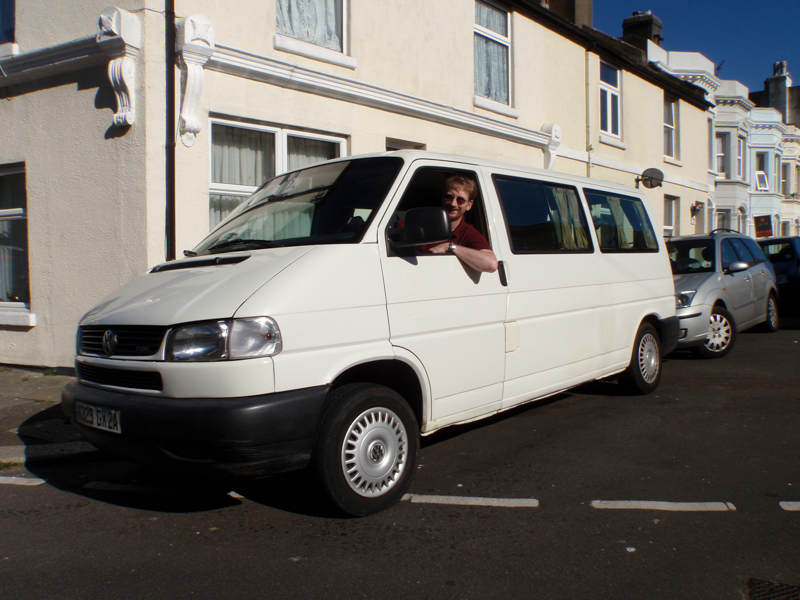 In the summer of 2014, we turned the dream into reality, giving up our “good” jobs, getting rid of most of our accumulated stuff (putting the rest in storage), renting out our house in Oxford and moving into our converted yellow VW T4 – “The Yellow Van”. 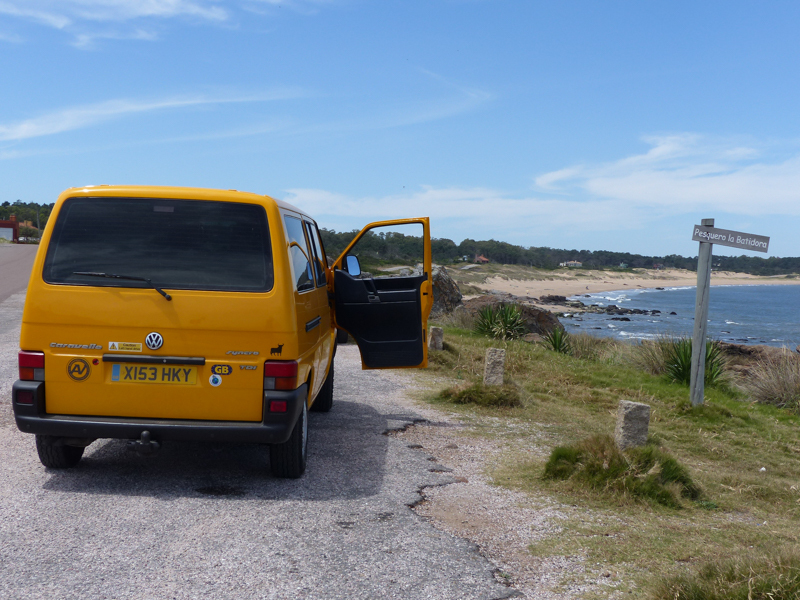 In October 2014 we shipped the van from London to Montevideo, Uruguay, for the start of our overland adventure in Latin America. You can see where we’ve been on our route map page and read our postcards home, accompanied by lots of photos. There are more frequently posted Facebook updates here. We are also doing occasional blogs on some themes of the trip (such as wine tasting, rock climbing, …) under the heading topics. Having been all the way south to “the end of the world” (Tierra del Fuego) and on to Antarctica, our original idea was to drive all the way to Mexico, but we slowed down as we travelled and took our time to enjoy what we were seeing and experiencing. Over time, it became less about going somewhere and more about being somewhere. So we finished our driving trip with a long exploration of Colombia and returned to the UK from Cartagena in January 2017. The picture above was taken in front of the Torres del Paine in the far south of Chile in January 2015.